Daniel Sutherland has been busy this summer. Sutherland, a Distinguished Professor of history in the J. William Fulbright College of Sciences, has been making the rounds both in the United States and in the United Kingdom, promoting his long-awaited biography of the painter James Whistler. Sutherland was in his hometown of Detroit on June 4 to give a talk, “Jimmy and Me: My Life With Whistler,” at the Detroit Institute of the Arts. The institute has a significant collection of Whistler’s works thanks to Charles Lang Freer, a prominent member of the city’s business community and Whistler’s greatest patron. The museum is also where as a grammar school student, Sutherland encountered Whistler’s work for the first time on a class field trip. 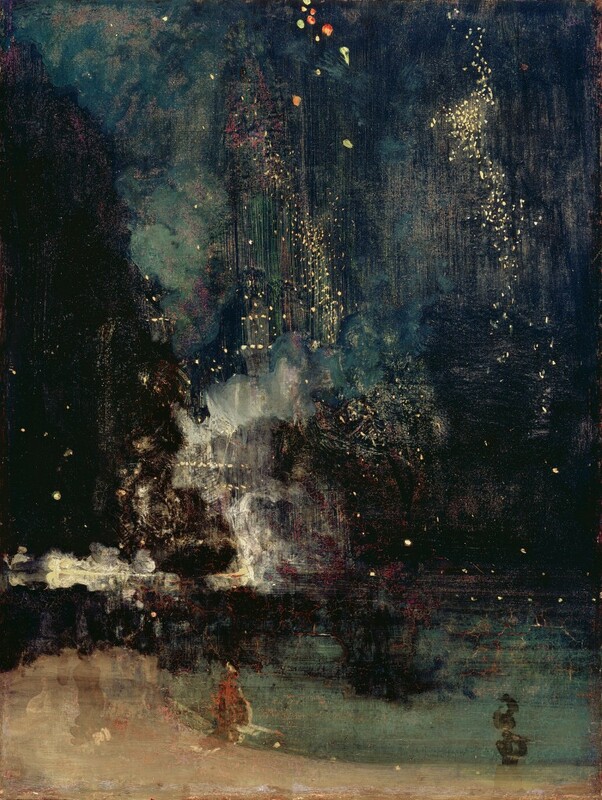 The memory of encountering Whistler’s notorious painting, “Nocturne in Black and Gold: The Falling Rocket,” stuck with Sutherland for five decades. Sutherland’s book, Whistler: A Life for Art’s Sake, is the first biography of the famous 19th century artist in more than 20 years. 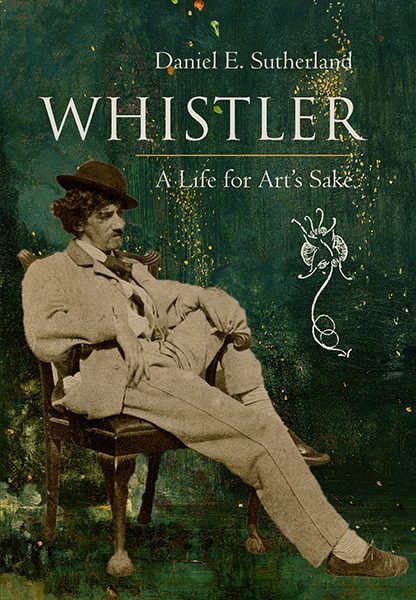 The book has garnered strong reviews both in the United States and England, where Whistler — an American — spent much of his career. Last month, Sutherland was in London, where he addressed The Whistler Society at the London Sketch Club. Next up is a roundtable discussion at the Smithsonian Institute in Washington for the debut of the PBS documentary, James McNeill Whistler & The Case for Beauty, which airs Sept. 12, with Sutherland featured as a prominent expert. Sutherland worked on the Whistler book for a decade. I interviewed him earlier this year in his office in Old Main and asked him to share an example of something that surprised him while researching the book. He remembered a moment at the National Archives in Washington. It embodies the joy of the payoff of spending hours in dark and dusty rooms, scribbling in notepads while trying to decipher documents. “I was writing about his years at West Point,” Sutherland said. “It’s well known that didn’t do well there and was eventually discharged. I knew he had been sickly during his childhood — he had nearly died on a couple of occasions — so I thought that he didn’t do well at the academy because of his health. Sutherland writes about Whistler’s bout with the sexually transmitted disease on pages 28-29 of the Whistler biography. Before the book’s publication, Sutherland had dropped the revelation into a paper he presented at a conference. “Everyone was aghast,” he said. After Whistler became famous, he was known for his dalliances with mistresses, so Sutherland puts the artist’s youthful venereal disease into context.